EASY and best of all NO BAKE! They are very rich and indulgent and you can dress them up with color sprinkles, chopped nuts, shredded coconut, and candy to fit any holiday or occasion. 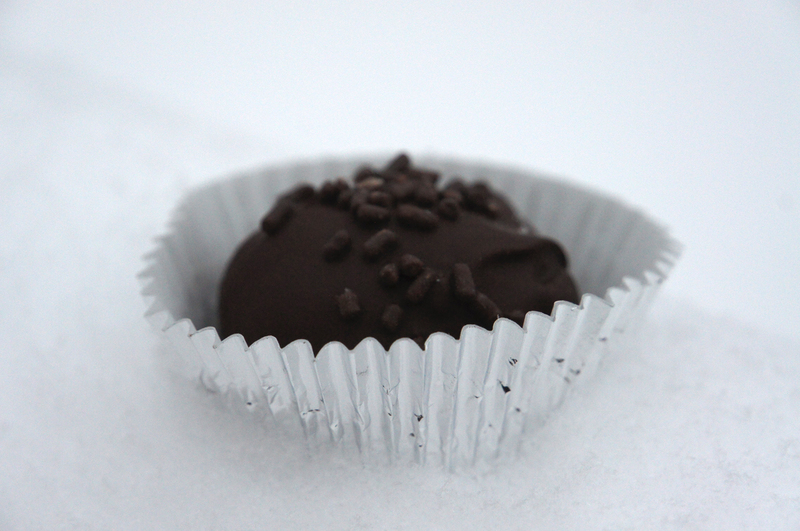 They make a great hostess or teacher gift and are also perfect for a cookie swap. They are made from 3 ingredients + any special decorative topping you desire. 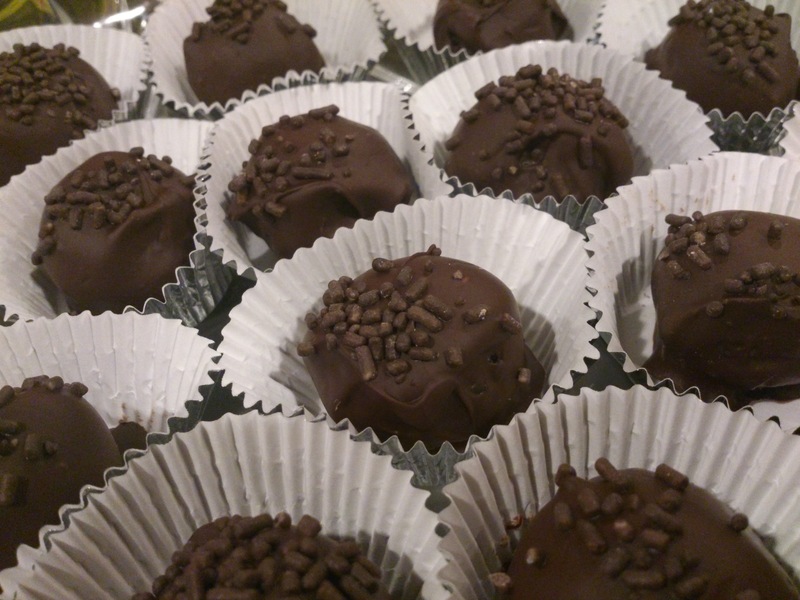 My kids loved to roll the balls and help dip them into chocolate. * SPIRITED VERSION: If you are not serving to children you can add 1 tbs + 1 tsp kahlua, Bailey’s Irish creme, or your favorite rum to the dough mixture before you roll the balls! 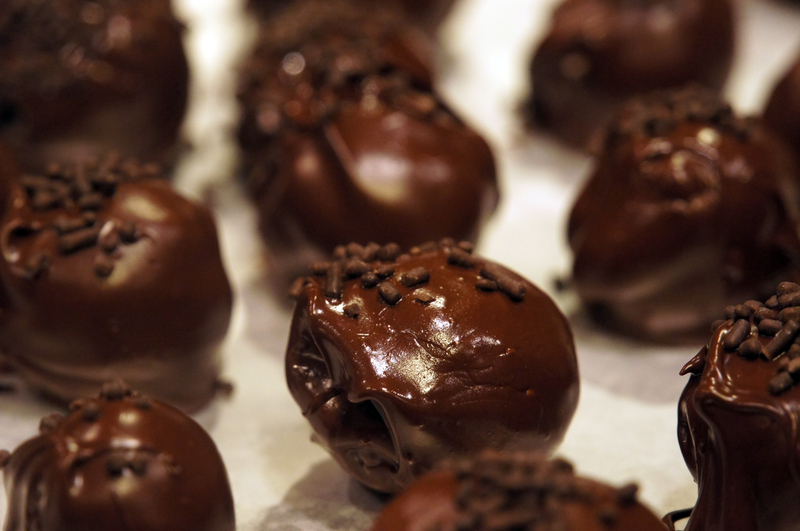 Place the balls on the wax paper lined pan and set in freezer while you clean up and melt the chocolate. Melt the chocolate in a double boiler, or place the chocolate in a microwave-safe bowl and microwave until melted, stirring after every 30 seconds. 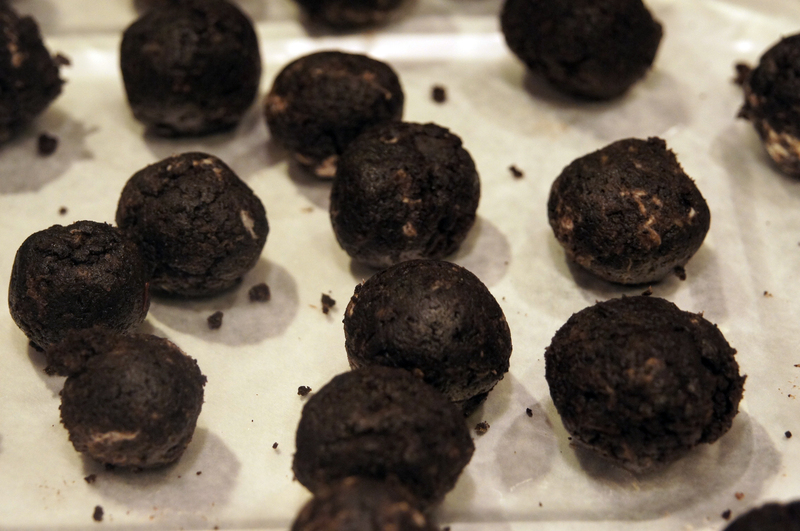 Dip the balls in the melted chocolate and place then back on the wax paper lined pan. Sprinkle with your selected topping (sprinkles, candy, etc..) before the chocolate sets. Place in refrigerator to set for 1 hour before serving and refrigerator any leftovers covered in the refrigerator.